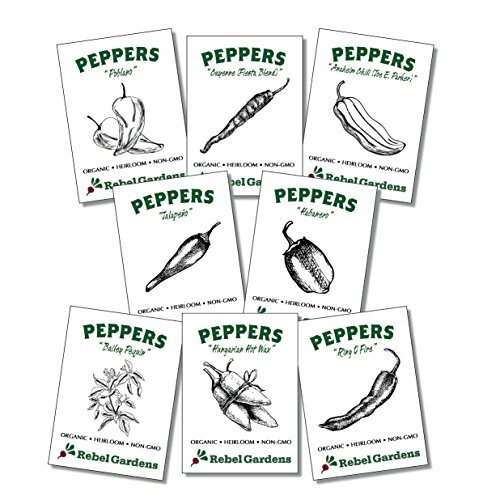 This curated variety pack of hot pepper seeds is the best collection for the hot pepper aficionado. Filled with both popular and hard to find peppers it is the perfect mix for making salsa, ethnic dishes, or just seeing how hot of a pepper you can handle. While organic & heirloom hot peppers can be pricey in the store this mix allows you to grow your own at a much more affordable price. Whatever type of heat you are looking for this garden has what you are looking for.